Feel comfortable knowing that transactions are processed through PayPal, a highly used, and very secure online payment system. 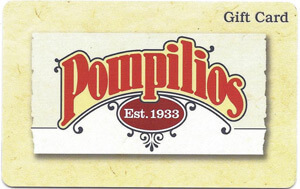 Purchase Virtual Gift Cards to share with family and friends, or check the balance on your existing gift card. 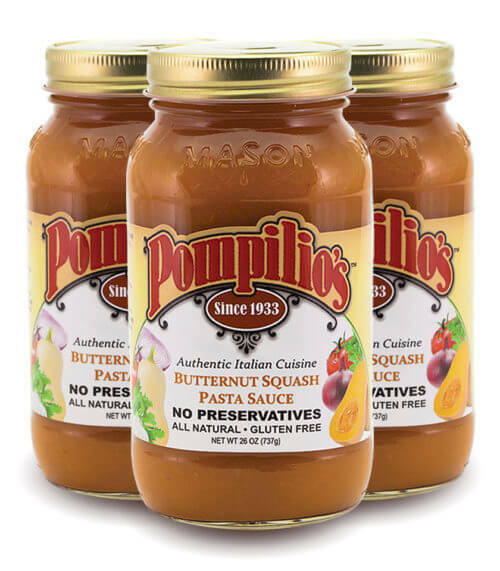 Three 26 ounce jars of delicious Pompilio's Butternut Squash pasta sauce. 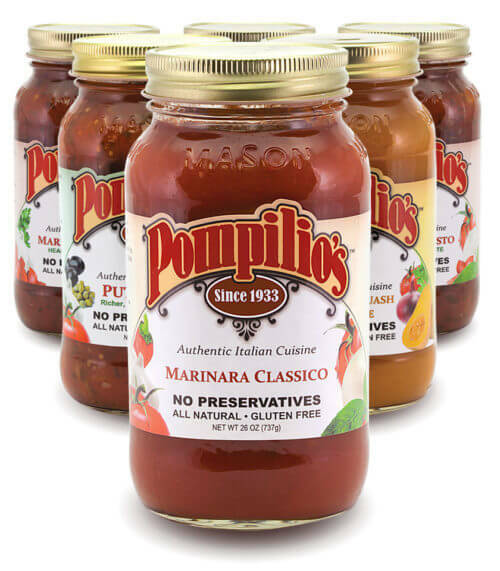 Click here if you would like to order 6 jars. NO PRESERVATIVES. ALL NATURAL. GLUTEN FREE. 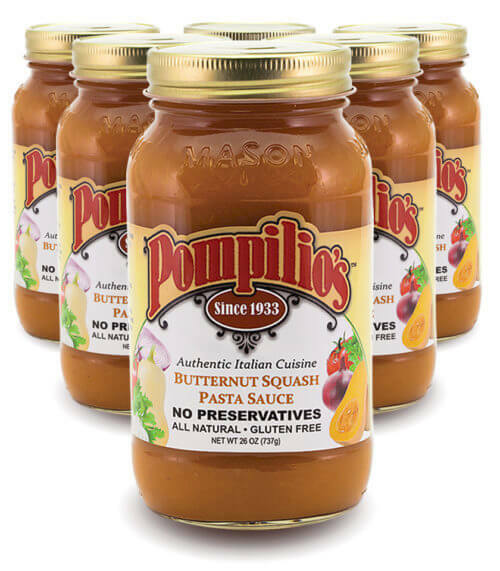 Six 26 ounce jars of delicious Pompilio's Butternut Squash pasta sauce. 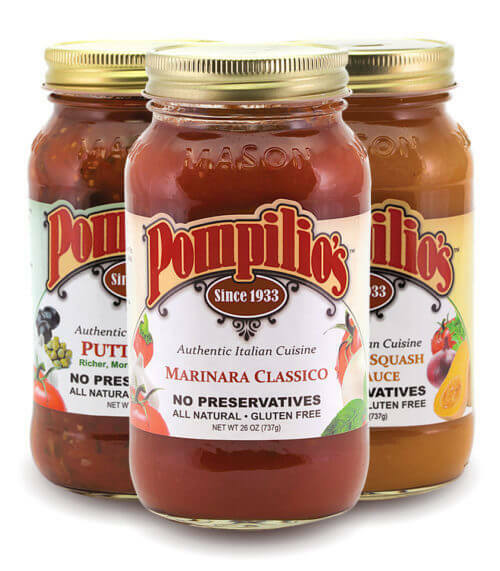 Click here if you would like to order 3 jars.